CNN | CNN original series Morgan Spurlock Inside Man, hosted and produced by the Oscar-nominated documentary filmmaker, launches its second season on CNN on April 13, 2014. The second episode, “Futurism,” featuring Ray Kurzweil and Terry Grossman, MD, will rebroadcast on the evening of May 2, 2014. It will air on Friday, May 2, at 11:00 pm ET and 8:00 pm PT. It will also air Friday, May 2, at 11:00 pm PT and Saturday, May 3, at 2:00 am ET. The broadcast schedule is posted here. The program, which was recently honored with an award for “best limited series” by the International Documentary Association, premiered in 2013 on CNN. Each week, Spurlock will immerse himself in topical subjects while offering an intimate look into diverse aspects of the human condition. episode | “Futurism” (April 20 & May 2, 2014) — Spurlock enters the brave new world of extreme life extension, embarking on a life-prolonging regimen and trying everything from genome hacking, to creating an avatar and uploading his consciousness in preparation for the technological singularity. Spurlock’s quest to live forever includes visits with radical futurist Ray Kurzweil, Stanford University’s Virtual Human Interaction Lab, and Cambrian Genomics in San Francisco. How to live forever: Morgan Spurlock dives into the world of “futurists,” those who dedicate their lives to trying to live forever. Morgan Spurlock enters a brave new world. From harvesting 3D printed replacement organs, to hacking his own genome, to ultimately uploading his consciousness and becoming part of the singularity, eternal life is on the horizon, at least for those who can afford it. 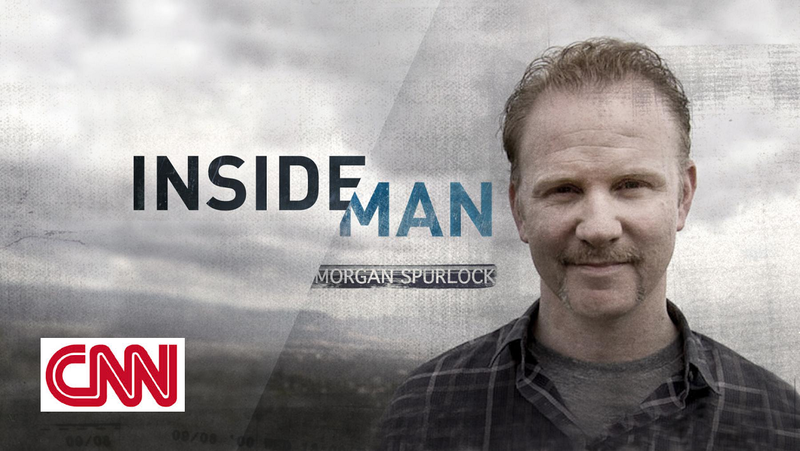 Here’s a look at this episode of the CNN Original Series, Morgan Spurlock Inside Man. Morgan asks, are we meant to live forever? He walks a virtual reality plank, and steps off. His brain doesn’t know the difference. Watch what happens! For the rebroadcast on Friday, May 2, times may vary, check your CNN listings with your cable provider for local schedule. CNN | Want to live forever? Erin Burnett talks to Morgan Spurlock about his investigation into extreme life extension.